Watsonville, CA – A heart health diet needs pure fish oil per numerous omega studies being highlighted during February, America’s Heart Health month. 62 million Americans are affected by heart disease which brings this condition to the forefront of the scientific community. 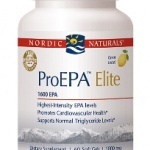 The scientific consensus is so strong that health policy makers world wide, including the American Heart Association (AHA) and the World Health Organization (WHO), all agree that EPA and DHA help maintain heart heath. 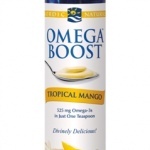 “The one nutrient that is overwhelmingly studied and still lacking in the modern western diet is the essential fatty acid omega-3 found in fish and fish oil, making consumption or supplementation imperative for optimum human health. 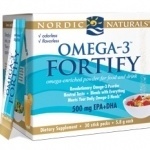 Pure fish oil is the best source of omegas, which are the most essential nutrients for heart health and should be included in any heart health diet,” says Nordic Naturals Research Advisor, Bradley R. West, ND. Research and clinical studies have also documented that omega-3 fatty acids from fish oil enhance overall cardiovascular function and support the body’s natural anti-inflammatory response.